3.00 pm attended by a small friendly group of people with a cup of tea and a chat afterwards. Special services are supported by the village. Happy Circle, a regular meeting for senior people where all are welcome: First Monday of the month at 2.00 pm. 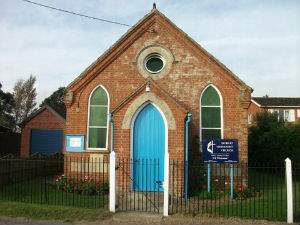 Attleborough Methodist Youth Club is held in Attleborough Methodist Church Hall, Tuesday evenings in term-time 6.00-8.20 pm for 7-13 year olds. 'Morley Toddlers' Parent and Toddler Group 9.30 to 11am at Morley Methodist Church.